Asian currencies and equity values have fallen in the past week amid great market turbulence. However, the declines in Asia have been modest in comparison with, for example, the sharp currency depreciations suffered by Argentina or Turkey. Signs of stabilisation of late have provided some relief to investors. But, as the global environment gets more troubled, will this pattern hold or will Asian emerging markets also come under severe pressure? There are powerful forces at work that can only make things more difficult for asset prices in Asia. First, the liquidity that helps to sustain financial markets — which is the money created in the system beyond what the real economy needs — has begun to contract. This is happening even before the full impact of central bank tightening is felt. In essence, as global economic activity revives, and as rising inflation sends prices up faster, the real sector is requiring more liquidity to fund the growing number of transactions and higher capital spending. That leaves less liquidity to flow into financial assets. Second, tighter central bank policies will deepen this liquidity shift. In its latest meeting, the US Federal Reserve raised its policy rate by 25 basis points while indicating that it would hike rates twice more this year, where before only one more rate increase had been signalled. This will be followed by another three rate increases in 2019. 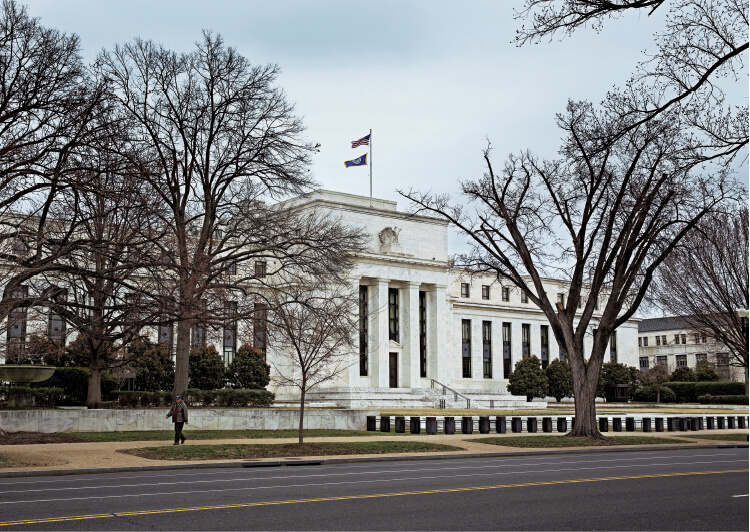 The Fed will also continue winding down its quantitative easing. The European Central Bank has decided to start its own winding down process at year-end even though it insisted that it would not be raising interest rates until 2H2019. By year-end, the combined effect of the major central banks’ operations will be to take funds out of the system, and not to add generous amounts as they were doing until recently. Third, as liquidity becomes less abundant, there will be more competition for it. That will make investors more rigorous in allocating the funds they have. In contrast to the times when liquidity was abundant, they will be less willing to cut some slack for risky assets such as emerging market equities or bonds; a higher risk premium will now be demanded. So, the good old days when a country or a company with weak fundamentals could still issue bonds at low interest rates are now gone. In addition, investors will now react more quickly to bad news while being slower to price in good news — again, in sharp contrast to their behaviour when liquidity was easy. Finally, investor psychology is also being hurt by the growing uncertainty over key forces that drive asset prices. It is one thing for risk to rise — risk is defined as the potential for a loss, something that carries a probability that can be estimated in some fashion — but it is another thing altogether for uncertainty to grow. Uncertainty is when you have no clear idea of the outcomes, so an investor cannot even quantify the risk. And this is the situation we now confront, whether in geopolitics, global trade disputes, assessing how the end of quantitative easing will affect the finance sector or in working out how the deleveraging process in China will actually unfold. In such circumstances, investors tend to freeze up, preferring to reduce exposure to such uncertainty, often in an indiscriminate manner. Will contagion spread more easily to Asian emerging markets? So far, this changed investor psychology has hurt emerging markets outside Asia much more than Asian ones. Take Turkey as an example. Its central bank raised rates thrice in two months, but the lira remained under severe pressure. Or Argentina, where a reformist government seen as doing all the right things was able to secure a massive aid package from the International Monetary Fund and yet, the Argentine peso kept falling. However, while currency corrections in Asia have been relatively contained, Asian stock markets have corrected sharply. This suggests that as global investors recalibrate risk exposures, they are cutting exposure to Asia even though Asia’s political economic and policy fundamentals are so much better. The question then is: What can cause Asian emerging markets to suffer a wider correction? At what point will the current series of mini-tantrums in financial markets morph into a more indiscriminate or even panicky selldown of risk assets? • First, a sudden shift in central bank policy towards much more aggressive monetary tightening, especially by the Fed. This could happen if the current acceleration in the US economy gathers a lot more momentum than investors have priced in. Economic growth in the second quarter seems to be running at a very dynamic pace, with some models estimating it to be in the 3.5% to 4% range, very much faster than what is considered sustainable. Investors have not taken fright yet, because US growth can be very volatile from quarter to quarter and such surges in the past have given way quite quickly to much slower growth. However, the impact of the massive tax cuts and huge increase in fiscal spending has yet to be fully felt by the economy. And, if capital spending rises as well, then we could well see such a large pickup in growth that will cause the Fed to take fright and tighten sharply. We think there is a rising chance of this happening. • A final risk is if an Asian economy that is perceived as relatively well managed commits a policy error that undermines investor confidence. So far, this risk seems to be still low. The fact that Asian central banks such as Bank Indonesia and the Philippine central bank were willing to raise rates proactively before being forced to do so by markets was a good sign. These central banks have also improved their communications with financial markets, which helps bolster their credibility. So long as central banks maintain their independence and the rigour of monetary policy decisions, this risk will remain low. First, it is clear that the global determinants of the pricing of Asian emerging assets are moving in a hostile manner. Liquidity will tighten and investor psychology will become more sensitive to risks and more easily unsettled by uncertainty. Second, the risk of contagion spreading to Asia is rising but remains contained, for now. However, of the five scenarios we identified above, two — aggressive monetary tightening setting off financial stresses and a geopolitical shock in the Middle East — need to be watched carefully.